On the occasion of World Aids Day, which is celebrated on December 1 every year, our school organised a campaign to raise awareness of HIV and remind pupils, teachers and staff of the need to fight this disease and the possible preventive measures that should be taken to prevent it from spreading. In collaboration with the regional directorate of education and the ministry of health, ‘LES VOLONTAIRES DU LYCEE DE GROMBALIA’ club, who organized the event last Friday, invited two doctors to talk about HIV. The event was a great opportunity to learn more facts about the disease through taking a quiz and asking the guest doctors questions about it. The academic year 2013/2014 was an exceptional year for Grombalia Secondary School. Over 50% of the total baccalaureate candidates passed the national exam. One of our students Hosni Hassan received the highest score for the Economics and Services branch in the whole nation, obtaining 17,36 out of 20. 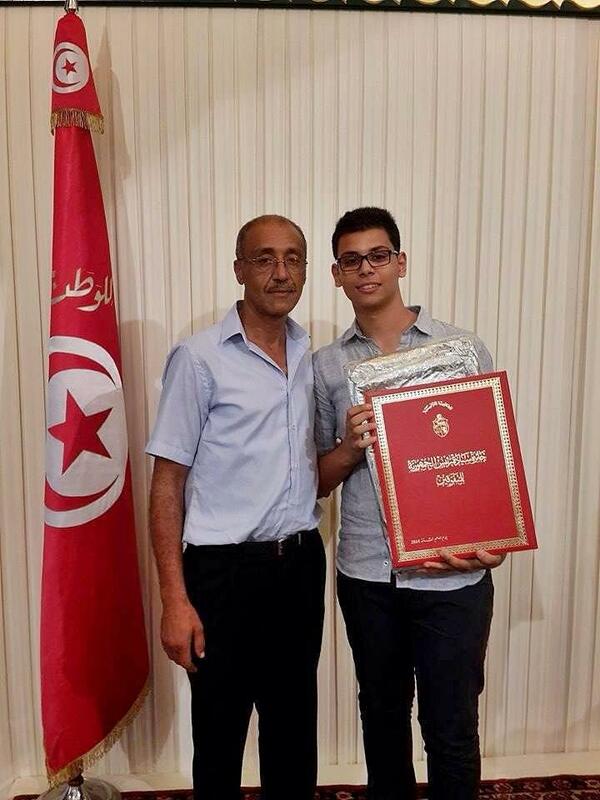 He was warmly received at the Carthage Presidential Palace by the president and the minister of higher education and was awarded a prize. The winter holidays will start a wee bit later than usual this year. They will start on Monday December 22nd 2014 and end on January 4th 2015. For more information about other holidays, click here. The upcoming end of term exams for the school year 2014/2015 will start on December 8th and end on December 23rd. Good luck to all our students! For more details about the exams, click here. Our school wins e-Twinning’s second prize! E-Twinning is an international platform which aims to promote collaboration between schools, teachers and students from different parts of the globe. Grombalia Secondary School has recently joined this community and is now an active participant in the programme. The e-Twinning network seeks to connect schools in a pleasant online environment in which students are engaged in working on projects and are competing to get the best prizes. Supervised and guided by some dedicated school teachers, our students came second at the national level and were received by the minister of education as well as the e-twinning team who awarded them the second prize.